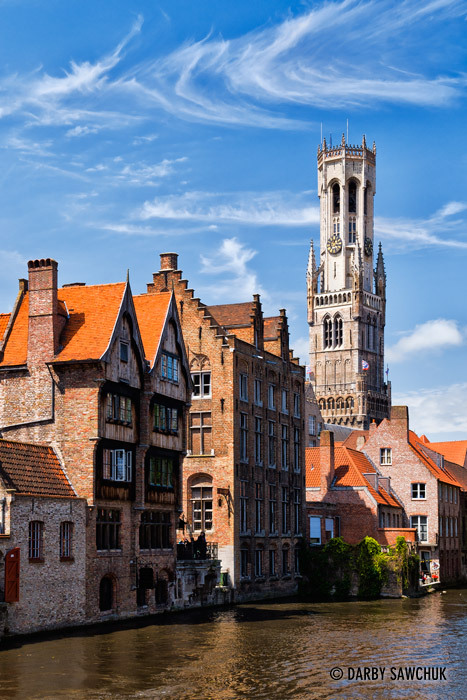 Bruges, Belgium is often referred to as the Venice of the North owing to its network of canals winding through medieval buildings. 01. 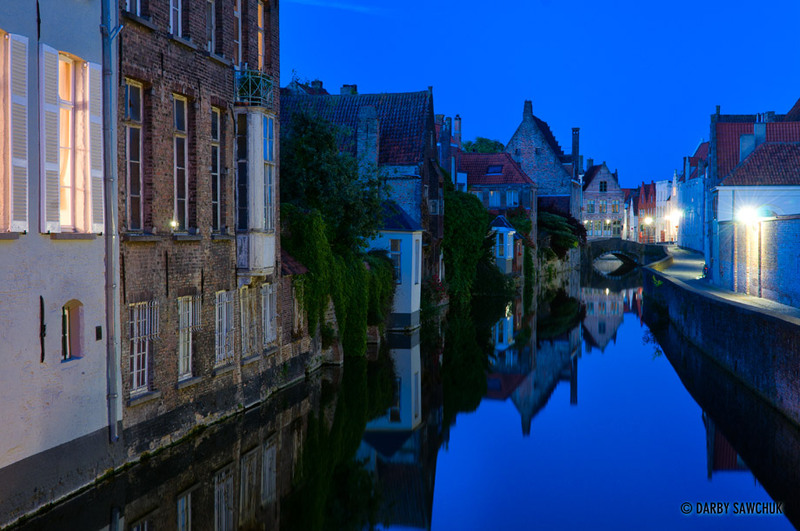 The Groenerei canal in Bruges, Belgium at night. 02. 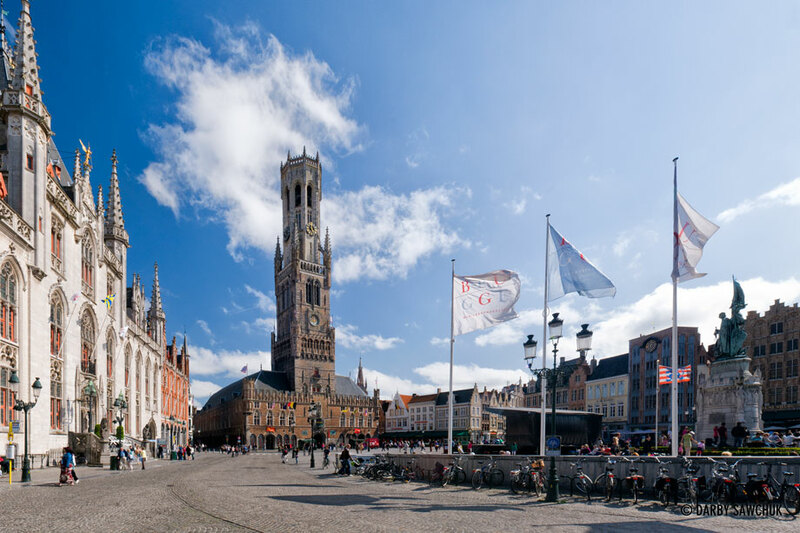 Market Square and the 13th century Belfry in Bruges, Belgium. 03. 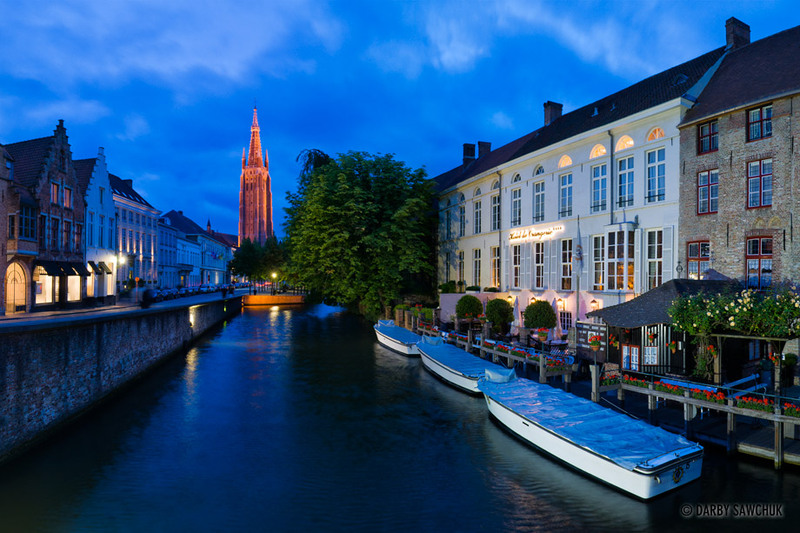 The Church of Our Lady rises above the Rozenhoedkaai canal in Bruges, Belgium. 04. 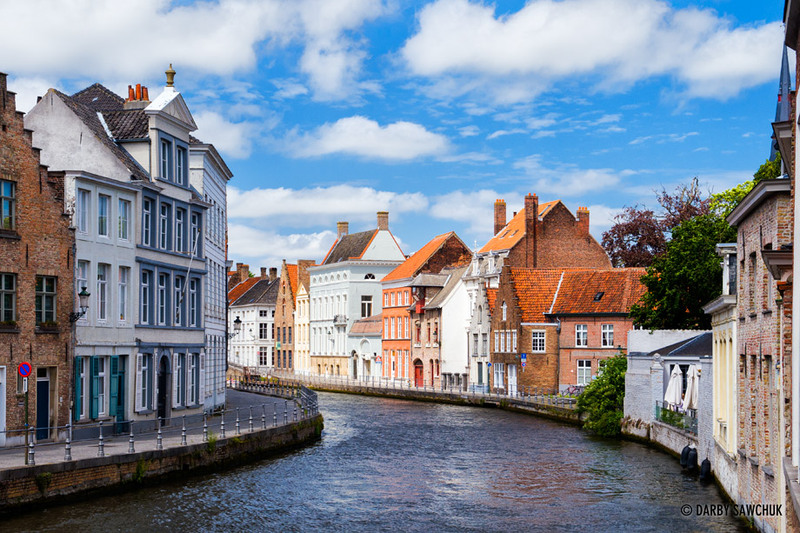 The Gouden-Handrei canal in Bruges, Belgium. 05. 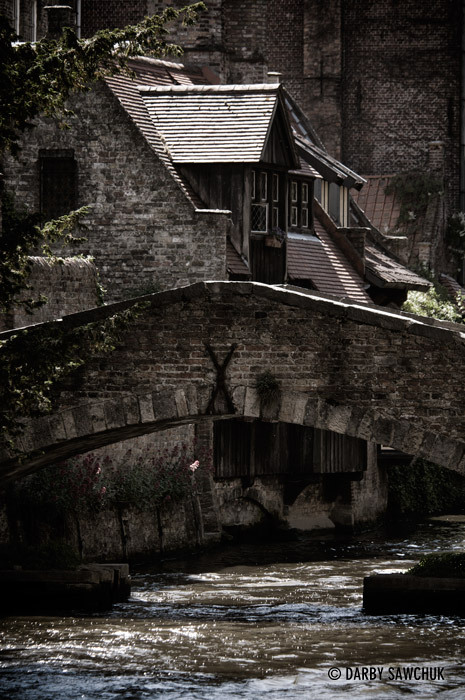 The St. Bonifacius Bridge in Bruges, Belgium. 06. 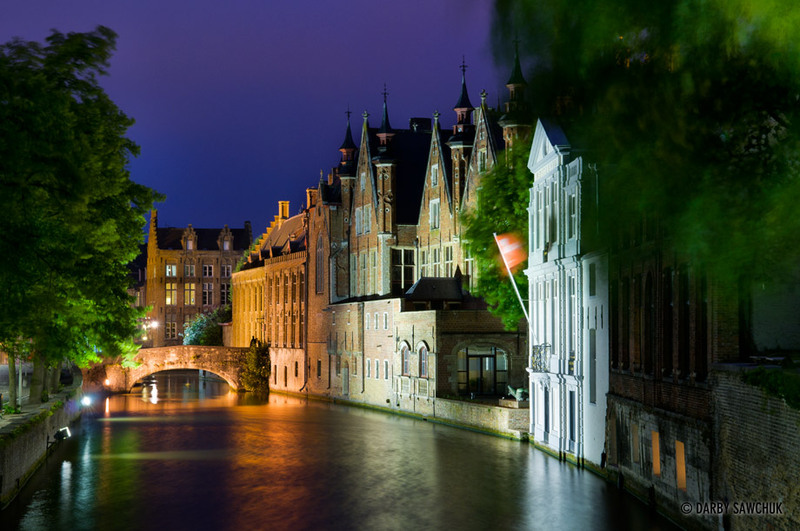 The Groenerei canal in Bruges, Belgium at night. 07. The Burgher’s Lodge in Bruges, Belgium. 08. 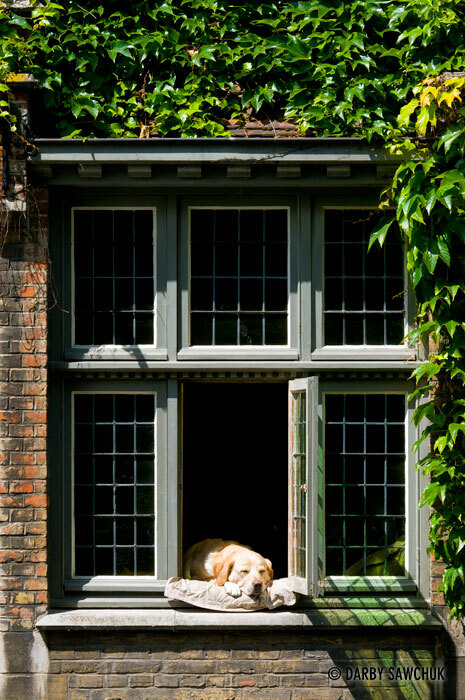 Fidel, a golden Labrador and a somewhat famous dog in Bruges, rests in a windowsill above the Groenerei canal. 09. 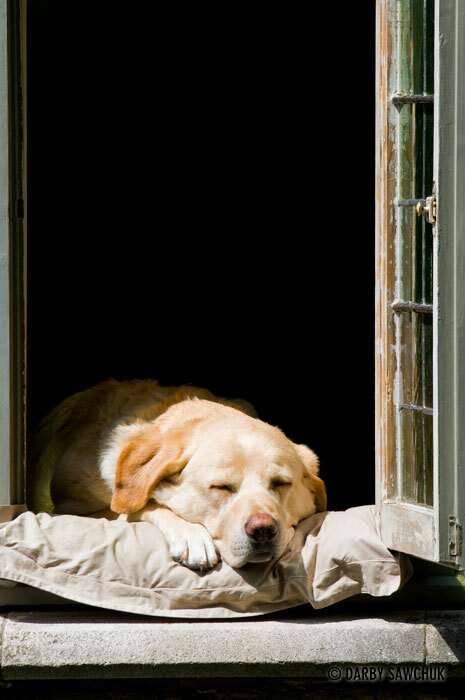 A close-up of the golden labrador that can be found resting in a window above the Groenerei canal Bruges, Belgium. 10. 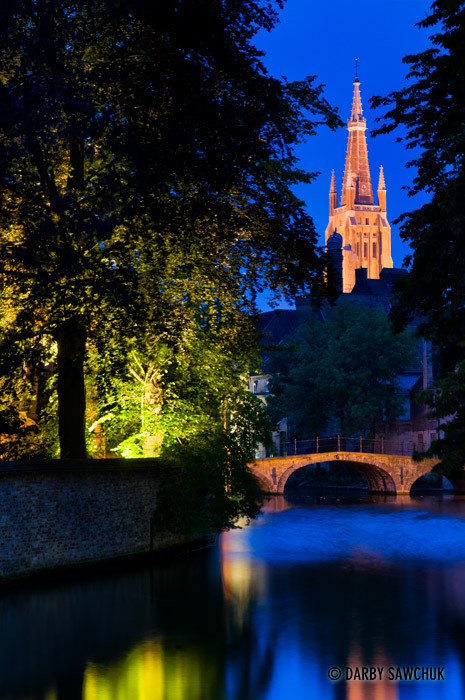 The Church of Our Lady behind a canal in Minnewater Park in Bruges, Belgium. 11. 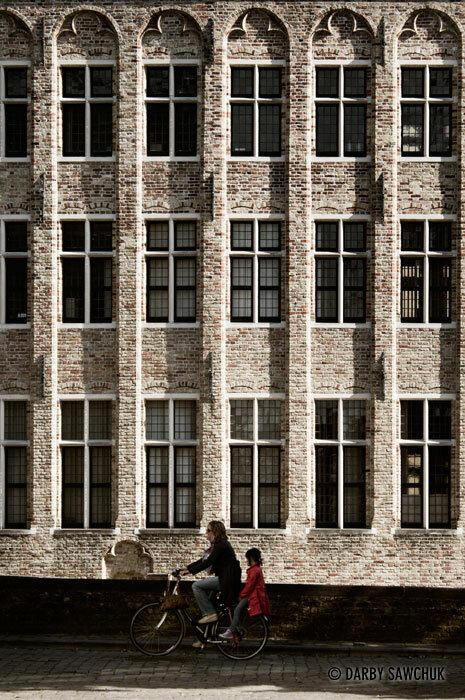 A mother and daughter ride their bike near the Gouden Handrei canal in Bruges, Belgium. 17. The Belfry behind the Rozenhoedkaai canal in Bruges, Belgium. 18. 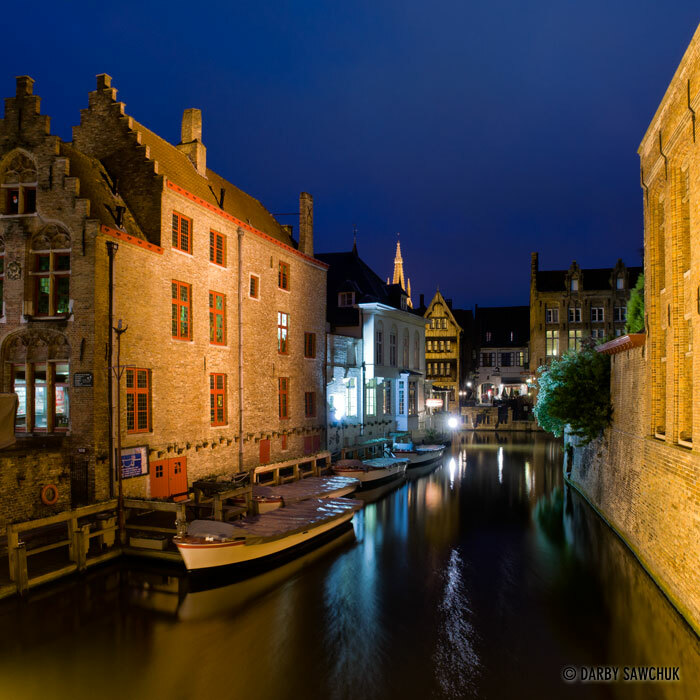 The Gouden-Handrei canal in Bruges, Belgium at night. 19. 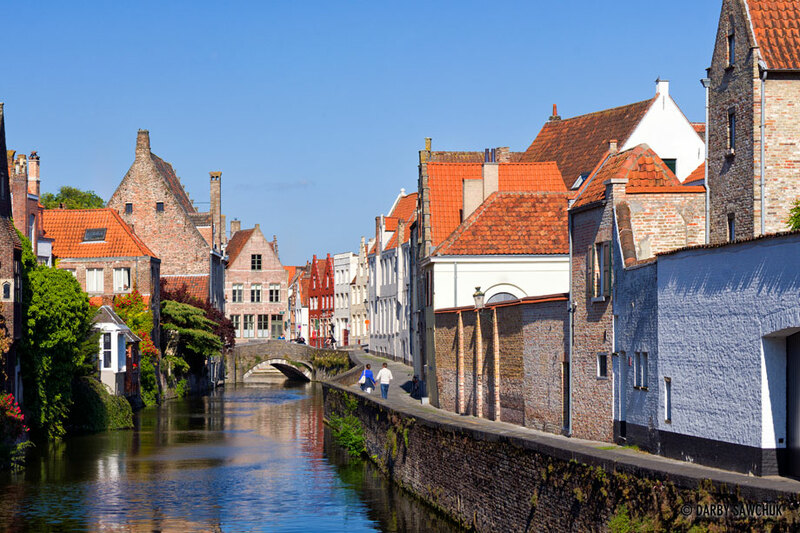 The St. Annarei canal in Bruges, Belgium. 20. 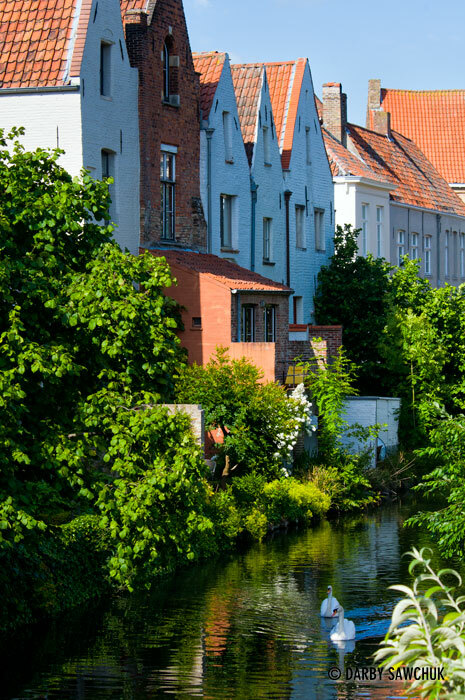 A quiet, residential section of the Gouden-Handrei canal in Bruges, Belgium. 21. 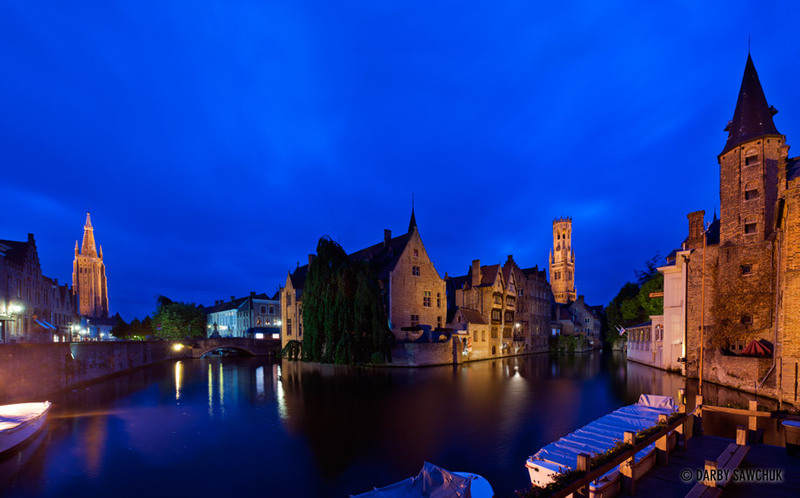 The river Dijver in Bruges, Belgium with the Church of Our Lady on the left and the Belfry on the right. 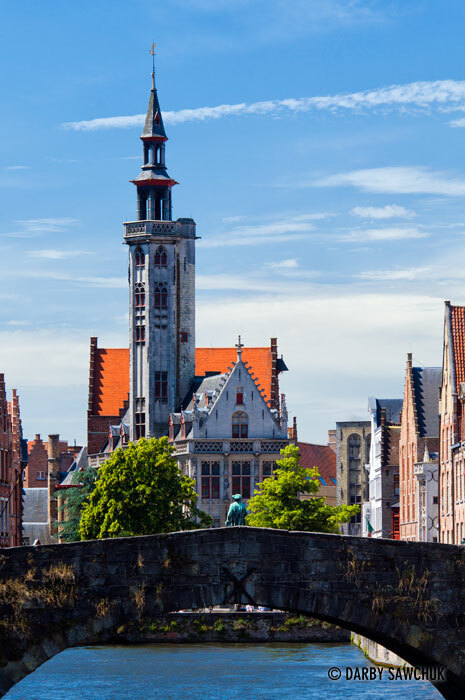 Keywords: photos of bruges, images of bruges, pictures of bruges, architectural photography, landscape photography, travel photography, fine art prints, stock photography. Great photos, infact magnificent photos. I once was a professional photographer and walked away from cameras about thirty three years ago. Found your site and am very impressed. Thanks Bill. Glad you like them! I was googling nice photos for the cities I’m traveling this summer and your site popped up. I can’t wait to see these views with my own eyes.